In June 2014, Apple brought us Swift, a brand new programming language for iOS, macOS, watchOS and tvOS. Fast forward to today, the company already released version 3.0 of the programming language with more features. With over two years of development since its first release, I would not consider Swift as a brand new programming language. Swift is now solidified, more mature and ready for any application development on Apple platforms. If you're planning to create your next iOS app or begin to learn iOS development, Swift is for sure the programming language to check out. 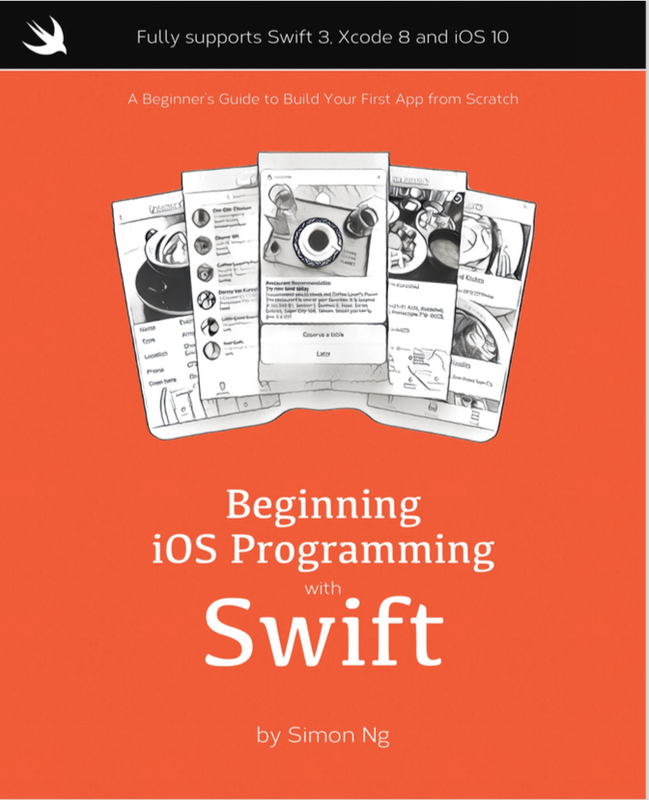 In this book, I will give you an introduction to Swift 3, discuss some of the new features in iOS 10, and most importantly, show you how to build a real world app from scratch in Swift. As an absolute beginner, you may question if you could learn Swift programming and build a real iOS app. I have been programming in Swift since it was first announced. Swift is more approachable and it is a lot easier for newbie to learn than Objective-C. Not everyone can become a great developer, but I believe everyone can learn programming and develop an app in Swift. All you need is hard work, determination, and the willingness to take actions. I launched AppCoda about four years ago and started to publish iOS programming tutorials on weekly basis. Since then, I have published several books on iOS app development. At first, I thought people, who want to learn app development, are those with programming experience and technical background. What's interesting is that people from different backgrounds are passionate to build their own apps. I have a reader from France, who is a surgeon by profession, started from zero programming experience to launching his first app, which allows anyone to share and advertise event information for free. Another reader is a pilot by profession. He began to learn iOS programming a couple years ago and is now building iPhone apps for his own use and other pilots. Boozy is an app for finding Happy Hours, Daily Deals and Brunches. It was built by a law school dropout. The creator of the app could not find a good place for a drink in DC area. So she decided to make an app to meet a real need. Similarly she did not know coding when she came up with the idea. She just got started and learned along the way. From time to time, I got emails from people who want to create an app. The emails usually mention something like this: "I have an app idea. Where do I begin? But I have no programming skills. Can I learn from scratch to make one?" What I learned from these truly inspring stories is that you don't need to have a degree in Computer Science or Engineering in order to build an app. These readers have one thing in common. They are committed to take actions. They all put their hard work in to make things happen. This is what you need. Lastly, thanks for picking up the book. I hope you will enjoy reading it and launch your first iOS app on App Store. If you'd like to share the story of your first app, drop me an email at simonng@appcoda.com. I would love to hear from you. I know many readers have an app idea but don't know where to begin. Hence, this new book is written with this in mind. It covers the whole aspect of Swift programming and you will learn how to build a real world app from scratch. 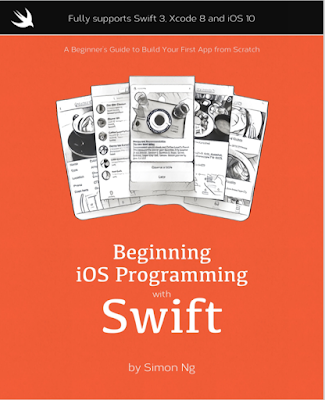 You'll first learn the basics of Swift, then prototype an app, and later add some features to it in each chapter. After going through the whole book, you'll have a real app. During the process, you will learn how to exhibit data in table view, customize the look & feel of a cell, design UI using Stack Views, create animations, work on maps, build an adaptive UI, save data in local database, upload data to iCloud, use TestFlight to arrange beta test, etc. What You Will Learn in This Book 6 This new book features a lot of hands-on exercises and projects. You will get the opportunities to write code, fix bugs and test your app. Although it involves a lot of work, it will be a rewarding experience. I believe it will allow you to master Swift 3, Xcode 8, and iOS 10 programming. Most importantly, you will be able to develop an app and release it on App Store.